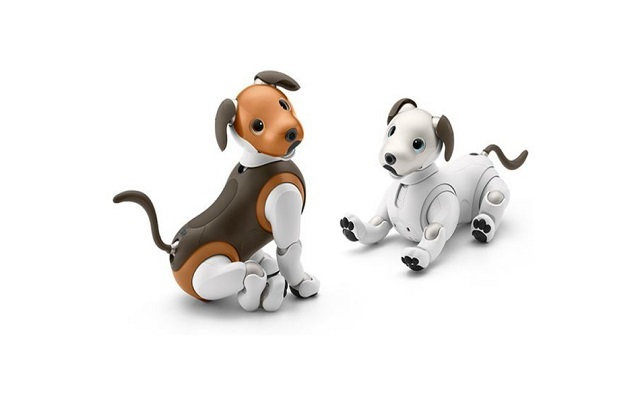 Sony Dog Robot Aibo, which was loved by people when launched is now available in chocolate colour. This special edition Robot is in the tri-tone shade. The new dog robot is in three shades of brown and it is very pretty. It is available for pre-orders with shipping set to start on February 1. Sony Launched a New Aibo Pet Robot at CES 2018. Japanese electronics giant Sony’s Aibo pet made a return after more than a decade away. In 1999, the original dog-like robot was launched by Sony. New models were released every year until 2005. So, the company has resurrected its iconic robot pet brand with a brand new model called “Aibo”. Its size is 30 centimetre. It has flapping black ears and a wagging tail. Aibo has the ability to roll its eyes to display emotions. Other than that it comes with cameras, microphones boast internet connectivity and an array of sensors. It also allows owners to play with the pet remotely trough smartphone. New Aibo is powered by AI and is also connected to the cloud. As discussed before that the first generation of Aibo was rolled out in June 1999, that time 3000 Aibo dogs were sold out just in 20 minutes while the price was 250,000 yen. The Aibo is an expensive robot. The new Aibo is launched in Japan and is available to pre-order. It costs 198,000 yen, or about $1,700, as well as the monthly subscription.